Glowforge is touting a new sales milestone as it debuts a materials line and works to fulfill delayed orders from its record-breaking crowdfunding campaign more than two years ago. The Seattle startup, which is at CES in Las Vegas this week, today debuted a new “Proofgrade” materials line that features custom hardwoods, plywoods, veneer, acrylic, and leather that are specifically built for Glowforge’s printer but also work with other cutters. Glowforge also announced today that it has reached $70 million in product sales, which includes orders for printers, Proofgrade materials, and designs from its Design Catalog. This “Catan coaster” was made with the Glowforge printer. Photo via Glowforge. The company set a crowdfunding record for its printer in October 2015, reeling in nearly $28 million during a month-long campaign. But Glowforge, backed by high-profile investors like Foundry Group and True Ventures, has had trouble fulfilling some of those initial orders on time. The startup originally planned to begin shipping the $4,000 printer to backers in December 2015, but has run into several delays. In June of last year, Glowforge promised that all orders placed during the crowdfunding campaign would ship by the end of October. But as GeekWire reported, some shipments have yet to reach original backers. 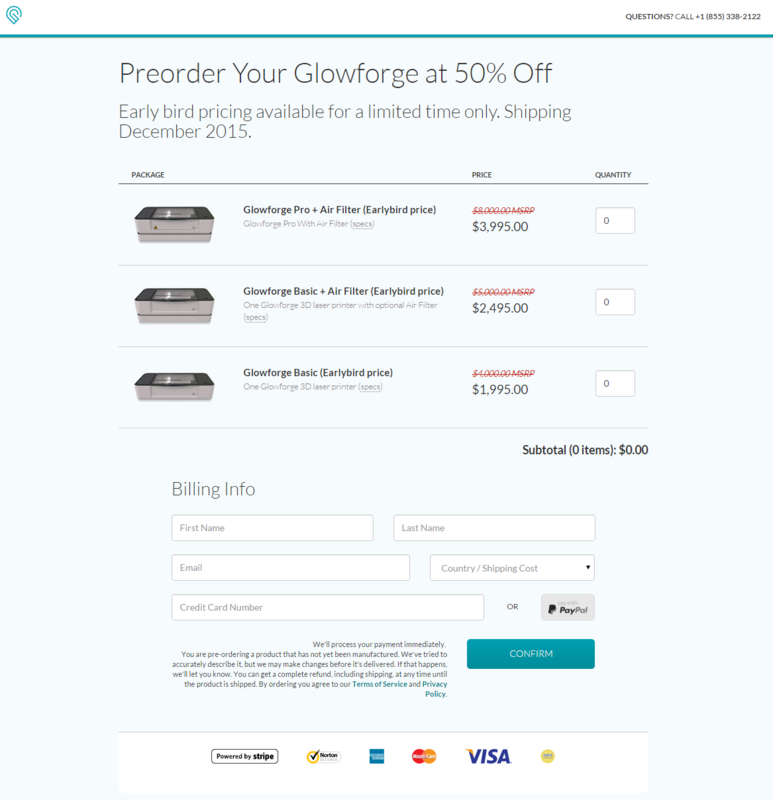 Glowforge is still offering refunds to those that don’t want to wait any longer. It is also giving free materials and designs to backers, as CEO Dan Shapiro told GeekWire in October. Shapiro provided another update last month on the company’s forum, noting “another production record” and addressing issues with broken printers. The Glowforge device is different from most other 3D printers — instead of making objects out of plastic strands, it uses a laser to quickly cut and engrave products. The device lets people use raw materials like leather, paper, plastic, fabric, or cardboard and make products with a push of a button. Glowforge employs 60 people and has raised more than $30 million to date.